If you were granted custody rights by a Court of Law in the State of Missouri, your ability to move your residence where your children reside, even if you don't have the majority of physical custody, is governed by Missouri Revised Statute Section 452.377 RSMo and the Family Court's determination if the move is in your children's best interest. Unless a minor child's health or safety is at risk or that of the person having physical custody rights, at least sixty (60) days prior to any proposed move, the person desiring to move their residence must send, via certified mail, written notice to anyone else (parent or third party) having custody rights of the following information: (1) The intended new location of residence including the physical address, if known; (2) The phone number to the new residence; (3) the date of the intended move; (4) a brief statement of the specific reasons for the proposed relocation; (5) a proposal for a revised schedule of custody or visitation, if applicable. Parents should take this notification requirement very seriously. Failure to abide by the terms contained in 452.377 RSMo may be grounds to modify the existing custody decree by your local Family Court Judge. Once proper notification is made, the party may relocate their residence after the expiration of the sixty (60) day period, unless the other party files a Motion to Prevent Relocation within thirty (30) days of receipt of the certified letter. If a Motion to Prevent Relocation is timely filed, the proposed move may not happen until final adjudication on the Motion to Prevent Relocation is made by the Family Court Judge, unless specific authorization is given by the Judge. There are many factors your Family Court Judge will consider in determining if the relocation of the child is in the child's best interest, and it is the burden of proof of the party seeking to relocate to prove that the move is in the child's best interest. Among the factors the Court will consider is the continuing need for the child to have frequent and meaningful contact with the other parent and how the move will impact the child's relationship with the other parent and also that the move is made in good faith and considers the best interest of the child. Many family law practitioners find that the factors which carry the most weight and thus the likelihood of being able to relocate with a minor child can vary significantly not only between jurisdictions but also between individual judges often in the same jurisdiction. Therefore, it is critical that you consult with an experienced family law practitioner if you are faced with the prospects of having to relocate with a child or the prospects of filing a Motion to Prevent Relocation. 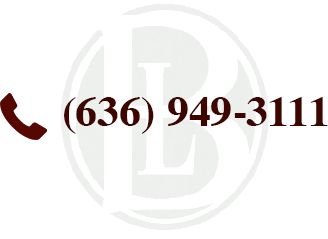 Please feel free to contact us today to discuss your situation.